Fables: The Deluxe Edition Book 13 - купить по выгодной цене | Магазин комиксов "Двадцать восьмой"
Imagine that all the characters from the world’s most beloved storybooks were real—real and living among us, with all of their powers intact. How would they cope with life in our mundane, unmagical reality? Acclaimed by critics and readers alike, these modern classics of comic book storytelling are now collected for the first time in a series of beautiful hardcover volumes. 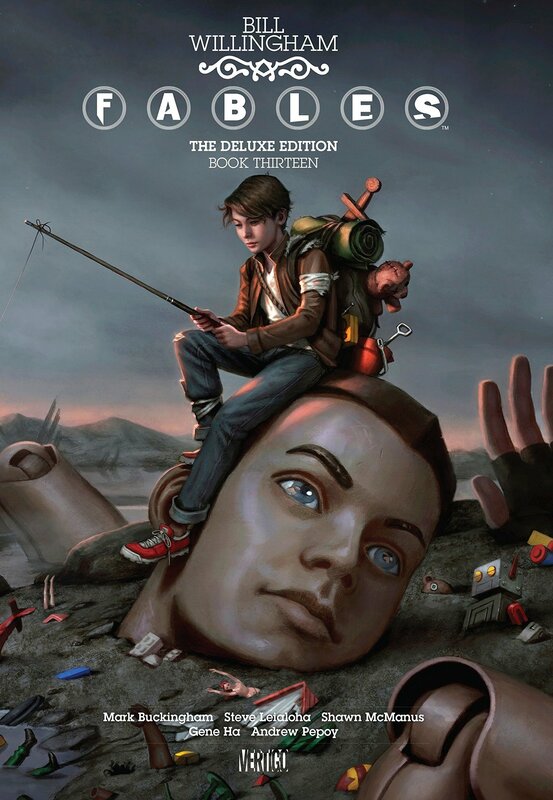 FABLES: THE DELUXE EDITION BOOK THIRTEEN includes the harrowing coming-of-age tale “Cubs in Toyland,” as well as the shattering events of “A Revolution in Oz” and “Snow White” from issues #114-129 of the award-winning Vertigo series, and features a new introduction by Lauren Beukes, acclaimed author of THE SHINING GIRLS and BROKEN MONSTERS, as well as a special sketchbook section by series artist Mark Buckingham.